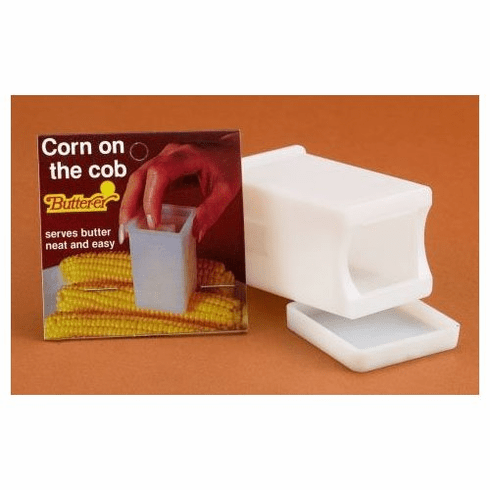 This wonderful Butter Spreader is ideal for buttering corn on the cob. Simply fill the spreader with a little butter and slide it over a hot corncob. The butter will now melt and you will be able to enjoy a delicious buttered corn on the cob within seconds! The Butter Spreader is made from sturdy plastic and holds up to a quarter pound of butter.